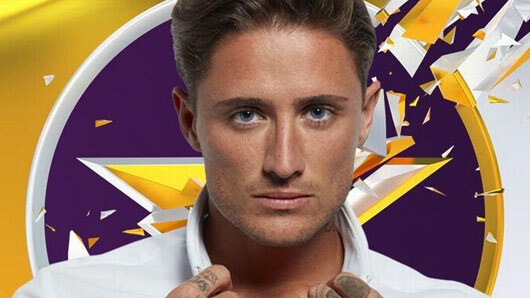 Stephen Bear’s ex-girlfriend Lillie Lexie Gregg has entered the Celebrity Big Brother house to confront him about cheating on her with fellow housemate Chloe Khan and dumping her on-screen. In explosive scenes to air on Thursday’s show, Lillie makes a dramatic entrance in the middle of the week’s shopping task and well, just watch. It’s the moment CBB fans have been waiting for, and, somewhat unsurprisingly, it’s played out on TV rather than the tabloids. Stephen Bear’s ex-girlfriend Lillie Lexie Gregg has entered the Celebrity Big Brother house to confront him about cheating on her with fellow housemate Chloe Khan and dumping her on-screen. In explosive scenes to air on tonight’s show, Lillie makes a dramatic entrance in the middle of the week’s shopping task. Housemates have been told they must continue with their task despite a number of distractions. Naturally, Lillie is Bear’s distraction. Both Bear and his housemates are visibly shocked by her appearance, as Lillie gives Bear an emotional greeting. Bear is later seen in the diary room with none of his usual cheek and charisma, apparently devastated by her appearance. Bear and Lillie met while filming the new series of Ex on the Beach, which kicked off last Monday on MTV. He pledged to stay faithful to her in the Big Brother house, but he later dared model Chloe Khan to kiss him and started the love affair we wish we hadn’t seen. Watch the dramatic scenes tonight (Thursday) on Channel 5 at 9pm.